Myanmar is really a must-see country with thousands of Buddhist temples, pristine white beaches along the Bay of Bengal and Andaman Sea. Nowadays, the country is slowly opening to foreign tourism, thus more and more foreign visitors make a trip to Myanmar each year. One of popular tourist destinations of Myanmar is Yangon. 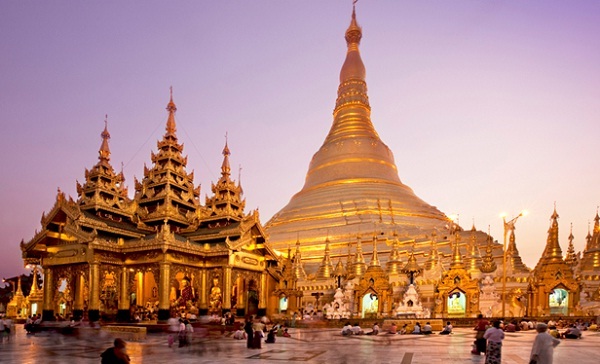 Below are top places in Yangon you should not miss to visit in any your trip to this country. No visit to Myanmar is complete without visiting the 2500 years old Shwedagon pagoda, one of top places in Yangon. Shwedagon is well-known for the most sacred and impressive Buddhist temple with an ideal location on top of Singuttara Hill in between People’s Park and Kandawgyi Lake. Shwedagon Pagoda is covered with hundreds of gold plates and the top of the stupa is encrusted with 4531 diamonds; the largest of which is a 72 carat diamond. It also includes hundreds colorful temples, stupas, and statues that reflects the architectural era spanning almost a 2,500 years. 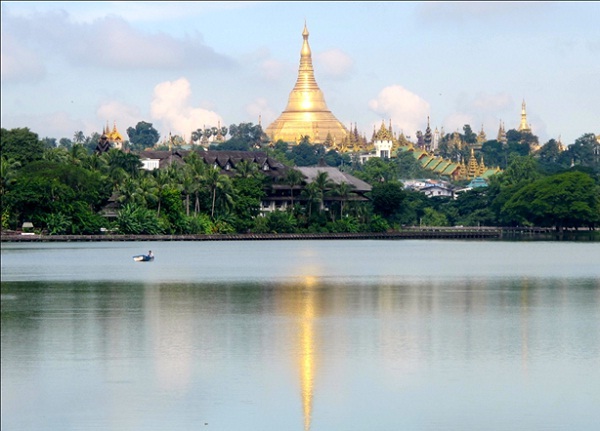 Kandawgyi Lake means great royal lake and is located just north of congested and bustling downtown Yangon. The lake is one of the top places in Yangon thanks to offering a quite atmosphere to shed the anxiety of traffic and ease earache from horns with a walk through the surrounded tree-filled park. Kandawgyi Lake consists of well-kept gardens and grassed grounds which are very great for picnic, offering a clear, tree-framed view of Shwedagon and its reflection off the water. Bogyoke Aung San Market is the most popular market of Yangon and Myanmar as well. It is situated in the heart of Yangon on Bogyoke Aung San Road. Bogyoke Aung San Market is divided into the East wing, West wing, North wing and South wing but the shopping items are not categorized in the respective wings. 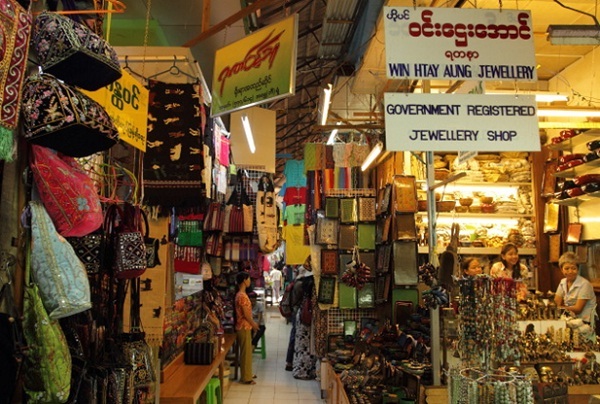 There are 1641 shops with a broad range of Myanmar souvenirs like luxury items, handicrafts, foodstuffs, clothing, jewelry, fashion and consumer goods. Top places in Yangon are good suggestions for your trip to Myanmar. Visiting Shwedagon Pagoda, Kandawgyi Lake and Bogyoke Aung San Market, you will have opportunities to explore not only spectacular natural beauty but also mythical beauty of Buddhist temples. These top places will surely offer great and unforgettable experiences for you and your family in Yangon.